Does your vehicle resemble this: Dirty saddle pads in the back seat, muddy boots on the floor boards, polo wraps strewn about, a distinct aroma of manure/hay/and leather, and a dog in the the passenger seat? 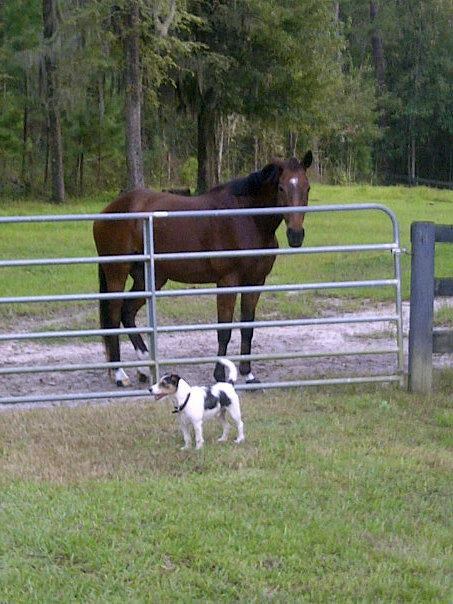 It seems like having a horse and having a dog (or two) go hand-in-hand. Personally, I have a Jack Russell Terrier who enjoys rolling in fresh manure and a Yellow Lab that is slightly obsessed with miniature horses. I am by no means a dog trainer, but I have learned a lot in the past several months by taking my Labrador puppy to socialization classes, obedience classes and even obedience private lessons. 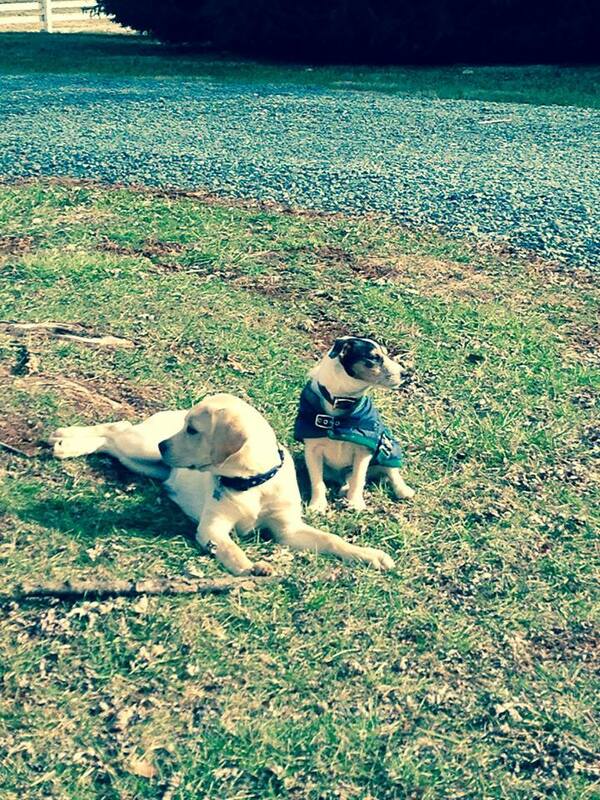 Here are some things that I have learned about dog training that have helped me. I believe that positive reinforcement is such a pleasant way to train. It doesn’t necessarily have to be a food reward, you can train any time, anywhere with a reward of affection, attention and play. I started training my “barn dog” from the minute he came to live with us at our old farm. “Sit” and “Down” are important commands to teach your dog, but for barn dogs there are some unique commands that your dog should know. “Out” I think that this is the most important command for a barn dog to know. My dog loves to follow me everywhere, especially into horse stalls and the riding arena. Most of the time, I am busy and my focus cannot be on babysitting my puppy, so I taught him “Out” which enables me to keep him out of potentially dangerous situations. “Recall” This means that when I call my dog, he comes…no matter what. This is so important! I have trained my dog to come to both verbal and visual cues. Training recall is actually pretty simple. Reward when your dog comes to you, make it a BIG deal that your dog responds to his name (food rewards are good too). Hand cues are also very helpful. Make a fist and present the thumb side of the fist in front of your dog’s nose. When your dog bumps his nose to your fist, give him a reward. Continue to reinforce this several times. Pretty soon, your dog will run up to your fist and bump it with their nose. This is a “hand target”. If my doggie is looking at me and I want him to come, all I have to do is show him my hand target and then he comes!! “Leave it” Doggies can get into all sorts of bad stuff at the barn. “Leave it” prevents your dog from eating or getting into something they aren’t supposed to. Start teaching your dog this trick by placing a treat on the floor in front of your dog and cover it with your hand. Give the command “leave it” and show your dog the treat. Immediately cover it if the dog tries to eat the treat. When the dog finally directs its attention away from the treat, then reward with another treat (not the one under your hand). Soon you will be able to leave the treat completely covered and say “leave it” and your dog will listen. 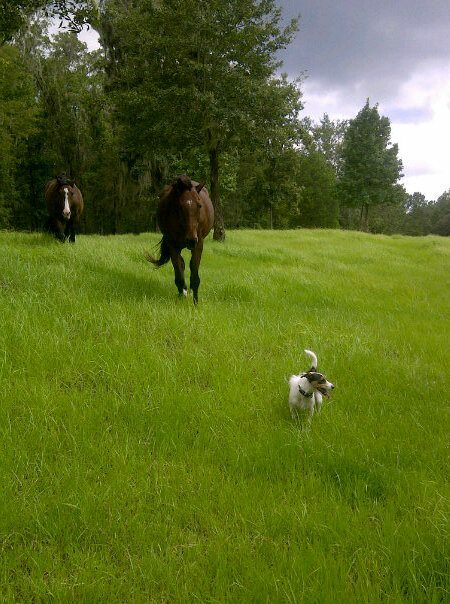 The barn and pasture may be the safest place for your horse but it is not the safest place for your dog. Here is a [limited] list of some potential dangers for your barn dog. Tires- Car tires, tractor tires, ATV tires….. There are usually many vehicles operated around farms. Keep your dog away from them. Beet pulp- If you feed beet pulp to your horses do not allow your dog to eat the dry beet pulp. Just like it expands when you soak it, it will expand in your pup’s stomach and cause GI discomfort. Carrots- too many carrots can cause GI discomfort and obstruction in dogs. Share with moderation. In general, do not bring a dog that you do not trust to be calm and well mannered to the barn. 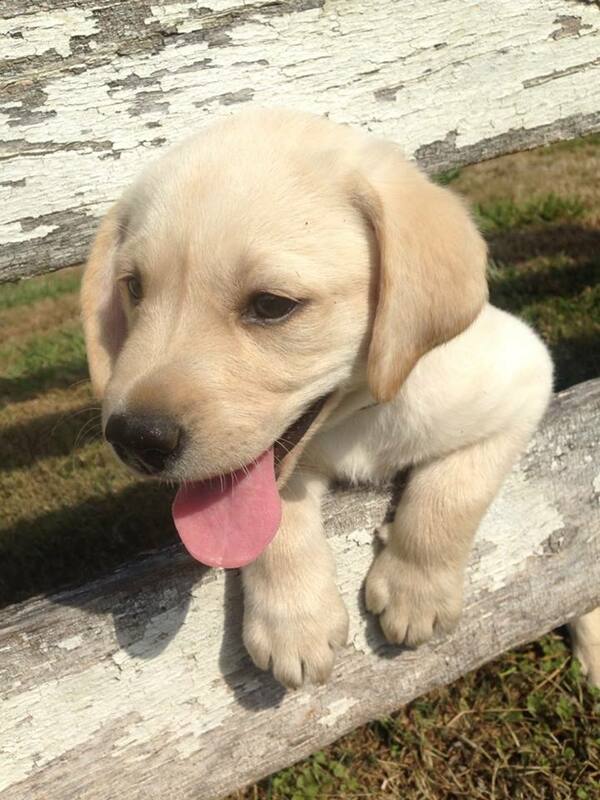 Remember that it is a privilege to have our canine friends with us during our barn visits. Make sure that your dog is obedient and respectful of other animals, people and belongings. With just a bit of training we can all be a happy barn family. Healthy horses and happy riding! !